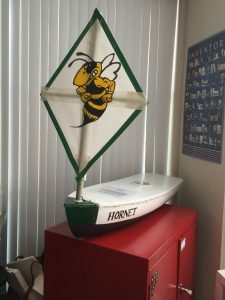 Hornet is from the Laurel Hall School in North Hollywood, California. She is going to participate in “The Pacific Challenge” where we are trying to get a Miniboat to the Orient. GPS coverage is not good in the Pacific as there is a large “donut hole” with no GPS coverage in the middle of the Pacific. 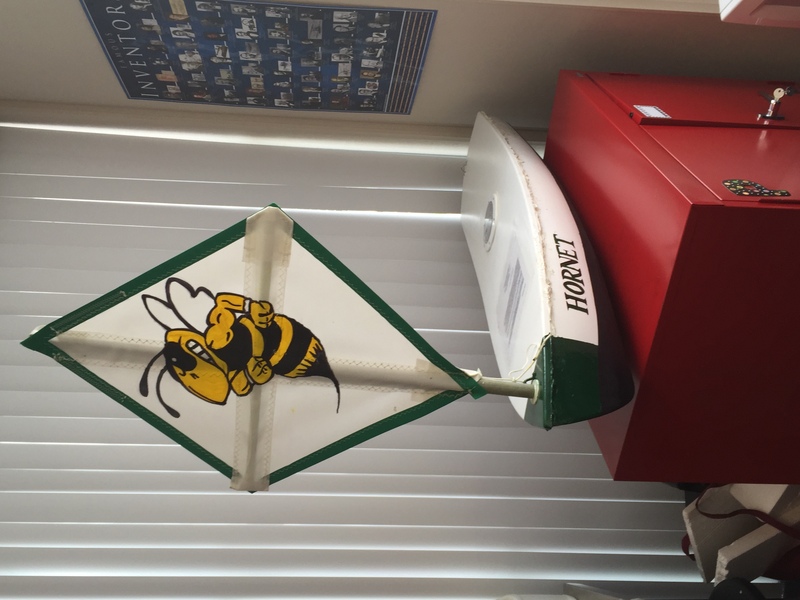 We have assisted Laurel Hall in getting their boat aboard a commercial freighter going to Australia and we are suggesting they launch the “Hornet” just on the western side of the donut hole so hopefully we’ll be able to watch it sail to the orient and hopefully some more interesting Skype sessions and international relations opportunities. Unfortunately the GPS wasn’t reporting when she left port and her current whereabouts are unknown.